Praxis Banshee 150w Mod Introducing the Banshee by Praxis Vapors. 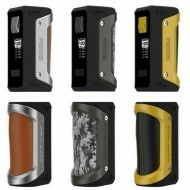 A mod surely made to cause a ri..
Geekvape Aegis Mod is waterproof, shockproof and dustproof. The Aegis 100W is compati.. 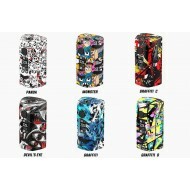 The Rincoe Manto S is a dual 18650 battery device (batteries not included) with a max power output o.. Designed to be water and shock resistant, the Aegis Legend is the perfect companion to anyone wanting a durable and practical device. With a smooth and executive design, the Aegis proves that durability does not have to sacrifice looks! 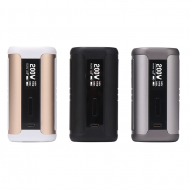 Capable of firing at up to 200w and powered by dual 18650 batteries, the Aegis will make a great all day vape companion to anyone needing a hard wearing, life proof Mod.